Along with Galaxy S10 lineup, Samsung might unveil the newer version of its Galaxy smartwatch. 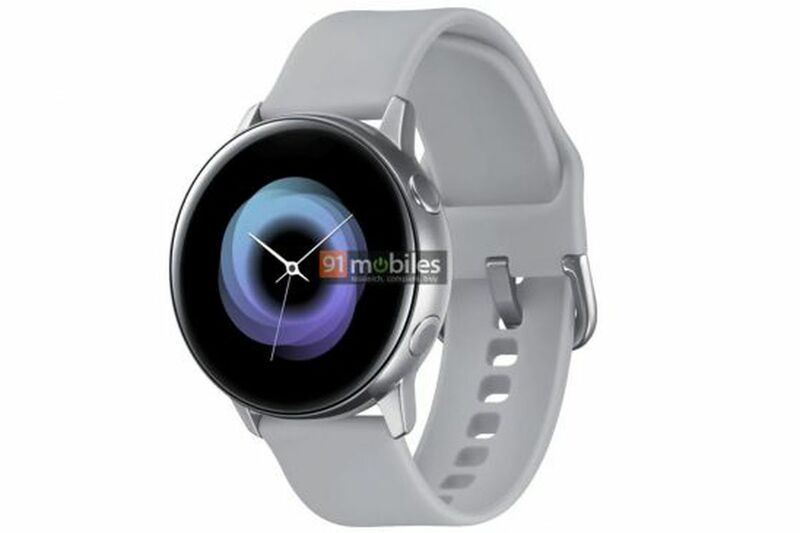 The recent leaks, posted by 91Mobiles, show a new wearable, probably named as Samsung Galaxy Sport. Samsung Galaxy Sport watch is expected to appear at Samsung’s Unpacked event on February 20. How Galaxy Sport Stand Out The Standard Samsung Wearables? Earlier, in the standard wearables, the bezel around the screen is used as a scroll wheel between apps. Now, as per renders, the watch uses two circular buttons with a round dial to control. Moreover, The upcoming wearable ditches the rotating bezel around the screen. Further, It has brushed metallic finish in chrome color and a more premium look than previous smartwatches. The buckle for the wristband comes with the same finish. It is expected to have the same sensors. By pointing out the sensor, It means, the watch is likely to include sleep monitor, step counter, activity tracker, heart rate monitor, and GPS. The rear casing is not visible though. The smartwatch should also have some sort of IP certification for water- and dust-resistance, however, not specified. As per other renders and reports, the smartwatch features Bixby Reminders, have 4GB of RAM, Wi-Fi, and Bluetooth. Galaxy Sport smartwatch will also support mobile payments via NFC. Unlike its tentative name, The renders give more premium look (non-sport watch). Although all this information is merely based on leaks and renders. It is not even confirmed that will the Company showcase its wearable or not. But FCC and other regulators have already cleared the device so we can expect it at the event. Further, You will see the brand’s most anticipated folding device alongside Galaxy S10 lineup.